The concept behind this program is to combine optimization, computer science, complex systems, statistical physics, control theory, and energy system engineering to develop innovative approaches to new and challenging programs in the design, optimization, and control of the electrical grid, natural gas networks and other complex engineered networks. The program also has a hardware/experimental (measurement and sensing) component. successful candidates must have Bachelor Degree in Mathematics, Computer Science or Physics, or Bachelor Degree in Engineering (Electric or Mechanical). The aim of the program is to prepare the science and technology leaders in emerging energy system research. 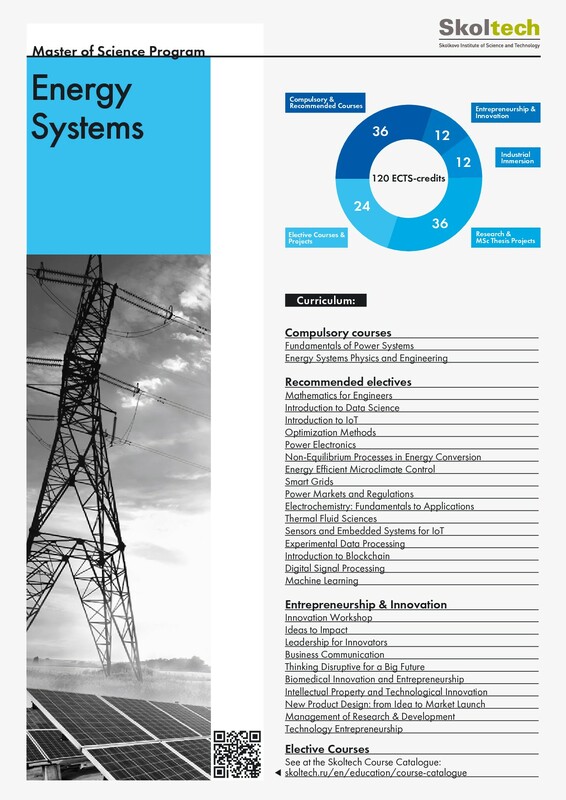 The objective of the MSc program in Energy Systems Science and Engineering is to bridge the gap between industry driven problems in optimization, control and planning of energy networks and other engineered networks and respective fundamental science and cutting edge computational techniques and algorithms. The curriculum of the program contains a unique combination of advanced mathematical and computational methods together with applications oriented in-depth teaching of energy systems engineering and physics. 4. Methodology of academic research in energy systems and its industry applications. 7. Present results to different audiences (engineers, industry, researchers, users, stakeholders, etc) in an effective oral and written manner. The MSc program was developed to meet the high demand for specialists combining strong backgrounds in mathematics, computer science with practical knowledge and understanding of energy systems. Graduates of the program may begin an international research career or work with our industrial partners (possibly starting during the period of study). The courses within this MSc program are developed and delivered by instructors with a broad international experience in academic and industrial research and development. The graduates significantly enhance their future employability by combining knowledge of engineering reality and physics intuition with strong command of related mathematics and algorithms. Acquiring simultaneously practical, theoretical and computations skills will allow our students to “warm start” carriers in academy, industry or entrepreneurship by the program completion. Courses within this MSc program and industrial experience combined into a unique MSc program. Thus, students gain is the opportunity to obtain early access to the national and international research, industrial and innovation landscapes enables both national and international employment with confidence. Students are actively involved in research from the very beginning of their studies.